HBO has announced that Funko will take over their official shop in New York from October 4th through October 7th. The Official HBO Shop, located at 42nd St. and 6th Ave. in Manhattan, will host a wide array of highly collectible Funko products, including Pop! Vinyls, Pop! Keychains, Pop! Tees, and more. Game of Thrones, Westworld, Silicon Valley, and Veep are just some of the HBO series that will be featured on the Funko products. This limited time event coincides with New York Comic Con and will first place fans can purchase the next wave of GOT Funko figures before they become available at other retailers. 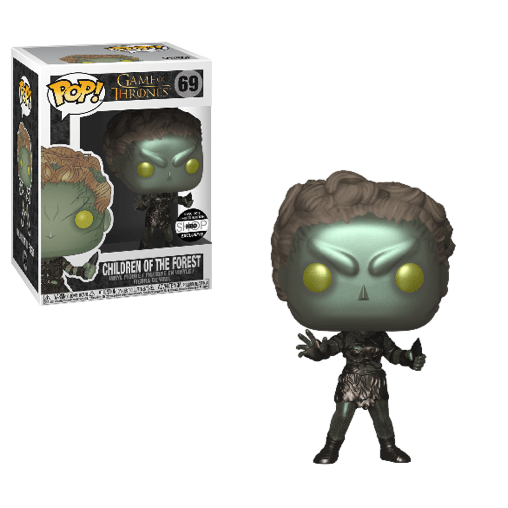 Limited quantites of the NYCC exclusive “Metallic” Game of Thrones Funko Children of the Forest Pop! figure will also be available! For the duration of the Pop Up shop, the HBO Shop will be open with extended hours from 10 a.m. to 8 p.m. on Thursday-Friday and from 10 a.m. – 7 p.m. on Sunday.